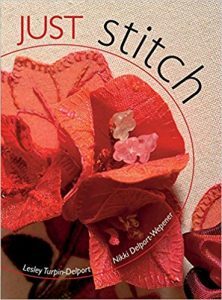 Originally published in South Africa, this book is all about stitching with a theme of flora and fauna. It appears to be a reprint from 2008, so be aware if you already have the book with a different cover. The book starts with materials, techniques including wire-edged applique, Barbola (unwired stumpwork) and more unusual techniques such as three-dimensional forms. 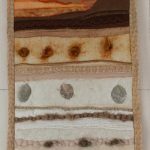 The projects are fantastic, not the simple projects often found in books, but real projects that a stitch artist would make. However, the instructions might not be comprehensive enough for some. They are certainly not step-by-step. The three-dimensional gerberas are a favourite. The cover is a Bougainvillea. The projects are colour-themed. A double-paged spread of related objects is given as inspiration, followed by the projects for that colour range. The effect is ruined by poor photo-editing. The templates at the back of the book need to be enlarged and are detailed. An inspiring book that would have been a lot better if someone on the editorial team knew how to edit the images – they are dull, and injected a better layout. I feel the projects with these instructions are beyond the beginner. 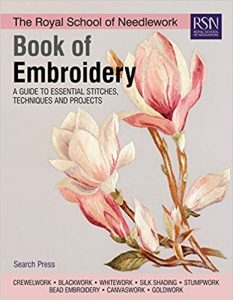 This is a book for those who already understand three-dimensional embroidery, as such it is very good. 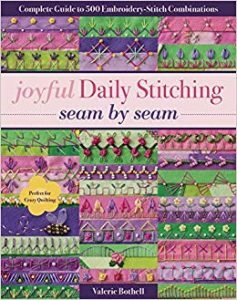 Encouraging you to stitch a little every day, this book will be a big hit with embroiderers and lovers of stitch. Make samplers and treat the seam like a goddess. Use different threads and silk ribbons to produce creative work. 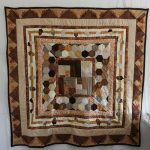 First it shows you how to piece crazy quilting style. Next up are several embroidery stitches in step-by-step demonstrations but with small photos. I think this section could have been done much better. 500 stitch combinations are shown in full colour but without instructions, so you need to flip back to the embroidery stitch section to see how to do the stitches. I think there is enough here to keep beginner embroiderers happy, I am just not that keen on the layout of the book. I cannot think of anything better than stitching your way through the year. This small book gives lots of inspiration and ideas for doing just that. You’ll find stitch motifs for every month of the year with a seasonal theme. It’s more than just one project a month. There are 38 beautiful designs in all, three or four each month. Colour images are found at the beginning of the book and at the back you will find the instructions. Tools, stitches, templates for the designs and brief instructions for the designs. The latter have a reference page number to the appropriate colour illustration at the beginning of the book. Beautiful embroidery ideas. In one word wow. 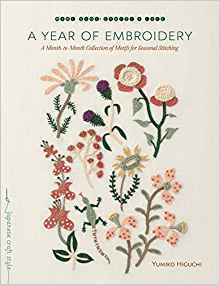 Any embroidery enthusiast will doubtless flick through this book hundreds of times. 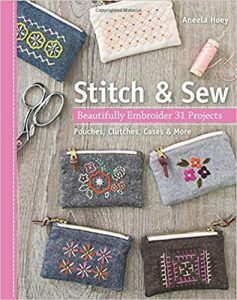 This beautifully illustrated hefty tome shows stitches, numerous examples of work and projects. 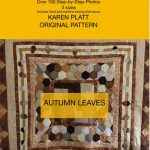 You’ll find step by step stitch guides plus historical and contemporary interpretations of crewelwork, canvaswork, goldwork, whitework, blackwork, stumpwork, silk shading and bead embroidery. The blackwork section from Becky Hogg is my favourite. The stitch guides were previously published in the Essential Stitch Guide series of books. This resource also includes a section on mounting work. 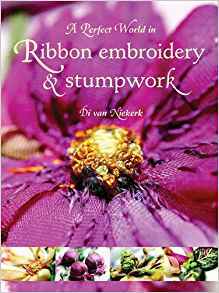 Lavish, informative, practical and inspiring – it forms the basis of a standard reference on embroidery from the highly acclaimed Royal School of Needlework. Welcome. 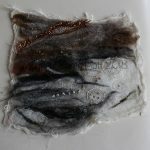 This is the new blog where I shall be showing and discussing my textile work. 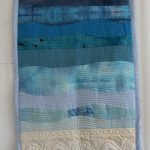 My stitch and embroidery as opposed to quilting, which is in separate blog posts. My stitch life began many years ago and is something I just have to do. It is a part of me. I cannot just sit, I have to stitch or knit. The two pieces shown here began life as pieces based on ancient art. The essential ingredient is circles made by ancient man. However, I was not satisfied with either piece, and certainly the one on scrim was almost consigned to the bin on several occasions. Yet, I am not one to throw work away. Everything has a purpose, it is just that the purpose does not always reveal itself straight away. So both pieces sat in the drawer awaiting for the finishing of a book. Then I started another book on lichen – containing mainly images for inspiration for textile artists. I began creating some work depicting lichen. 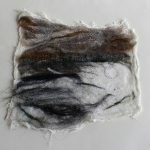 Yesterday I was just about to start a piece on the embellishing machine with pre-felt and merino tops. Suddenly I had a feeling of deja vu. I went through that drawer and selected not only these two pieces shown here, but several others I could work up into something better than they are at present. 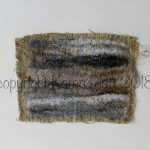 The first is worked on cotton scrim I lightly attached merino wool in several colours using an embellishing machine (you could use dry felting needles). I then stitched circles that almost disappeared into the merino wool. I was never happy with this piece. Yesterday I started enhancing the piece with more stitch and additions. It is looking better and I shall work on it today, then it will go under the embellishing machine once more. The second piece is worked on hessian in the same way and this needs relatively little more to make it a finished piece.